It seems like it’s been awhile since I’ve done a garden update. Since it’s early June, I thought it would be fun to share what’s been growing around here. 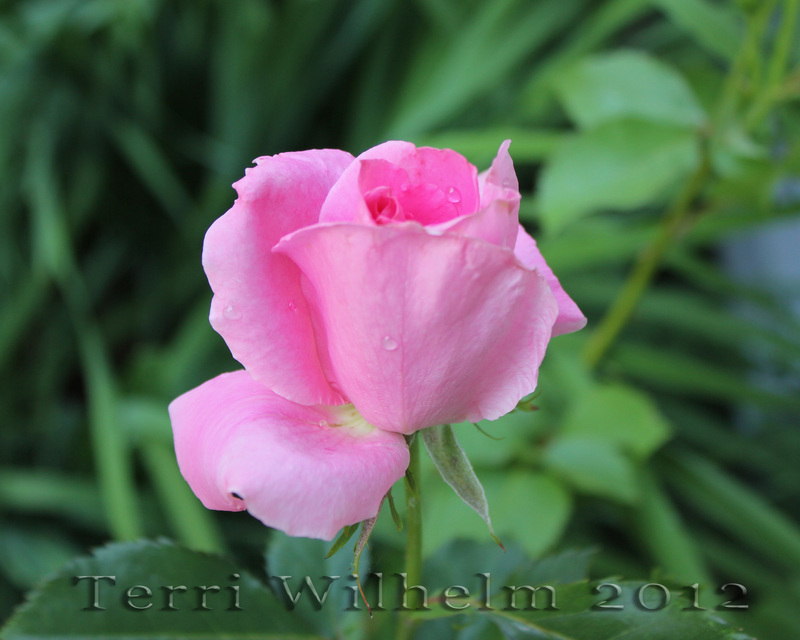 We have quite a few rose shrubs around here that seem to be doing better and better each year, meaning more blooms. 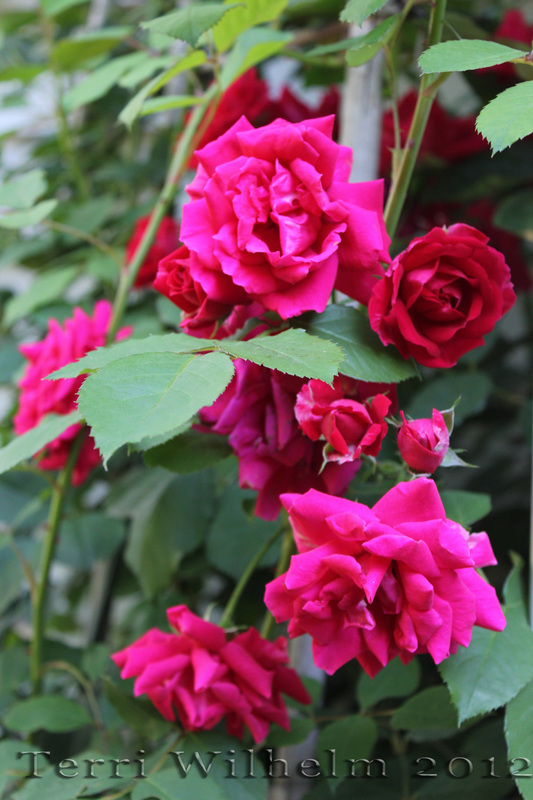 Luckily, roses are easy to grow and require little maintenance. 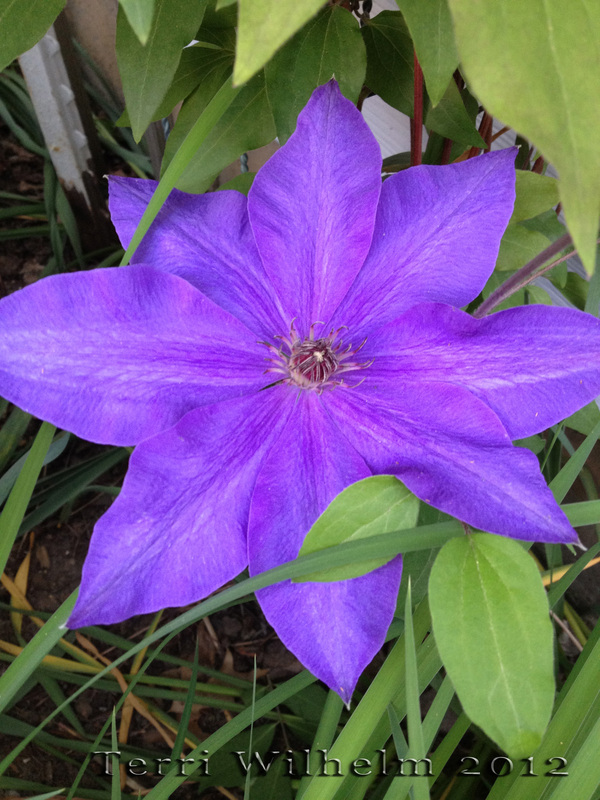 Our clematis continues to amaze me with that bright blue-violet color and star shape. We’ve lucked out with warm gardening weather about a month earlier than normal, which has been very nice. 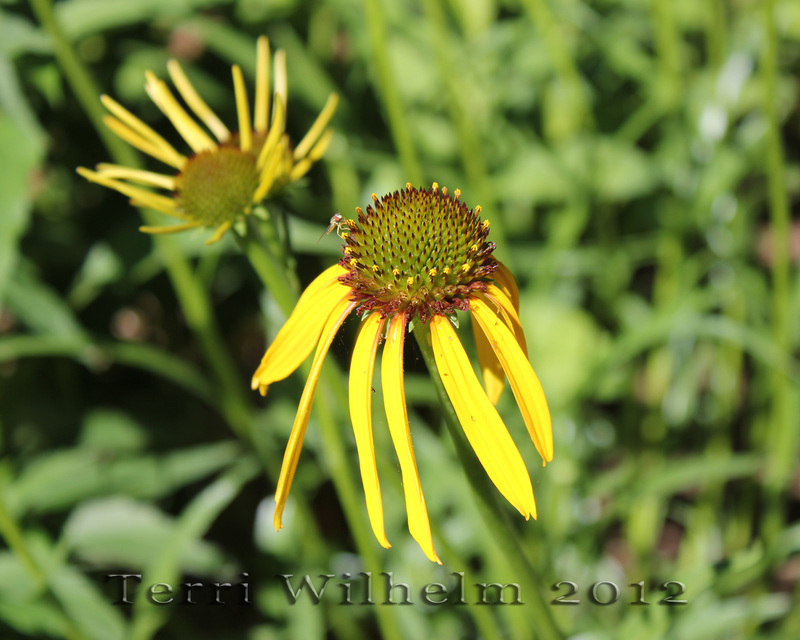 That means some of the flowers that usually bloom in early July are starting to open now, like our coneflowers, one of my favorites. My favorite part of our garden is the entrance gate to our fence on both sides of the house. 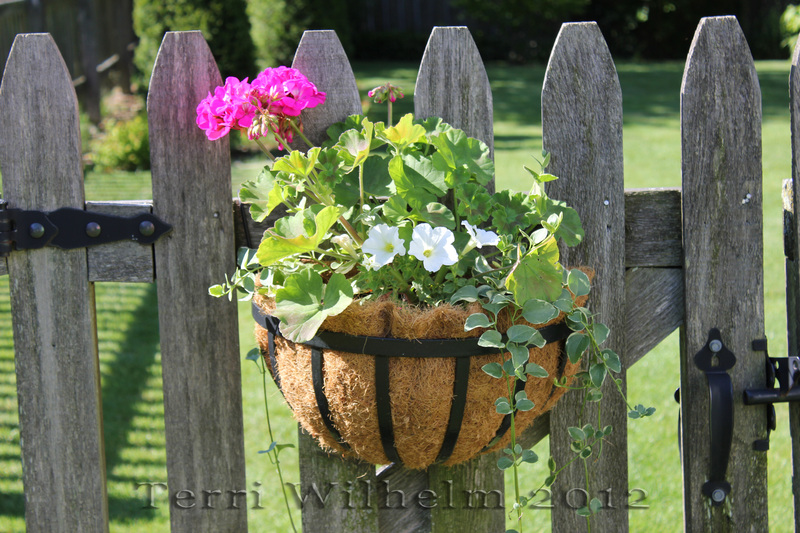 I love how this hanging basket looks, so charming and inviting. I’m so happy we planted them this year because last year we were too lazy. Hope you’re out enjoying the summer beauty too. Thanks for stopping by! 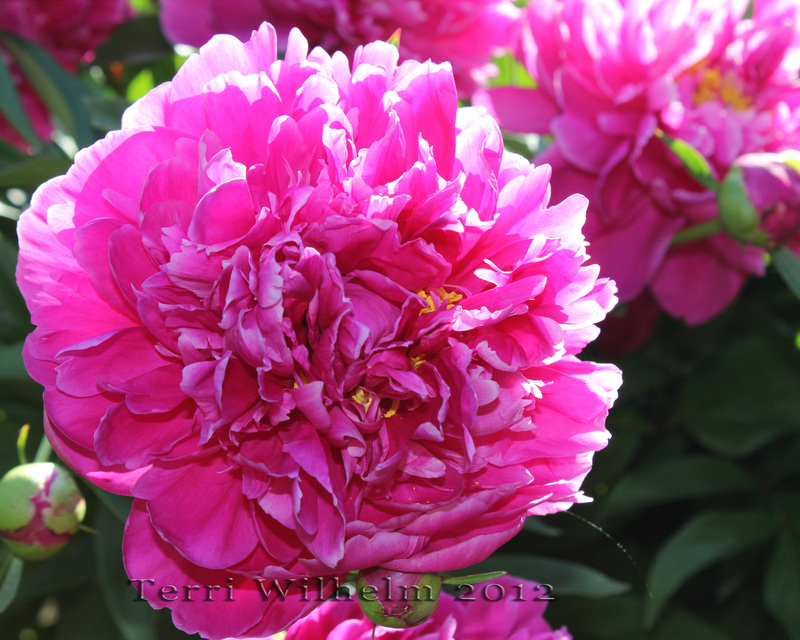 Beautiful pictures Terri – the colour of the Rose in the second picture down is gorgeous. Hope your good weather continues. Hi Terri! What a wonderful garden you have – so beautiful photos! I have missed your latest posts (I don’t have my normal computer these days). Lots of beautiful photos and what a lovely present with a lovely mini quilt, fabrics etc. Sigh. I wish my garden looked as good as yours! Mine is so pathetic! Beauty all over the place—so peaceful!